I've got an oven, why would I need a SmartVide? 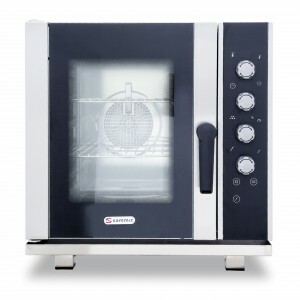 A professional user asked us: if I've already got a convection or mixed oven why would I need a SmartVide? In this post we will try to explain the main diferences between the SmartVide and the oven. 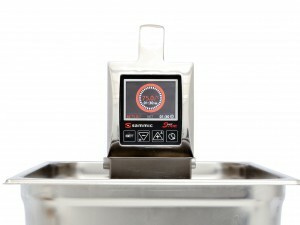 The SmartVide and the oven (convection or mixed, hereafter “oven”) are two different concepts. They are two products that respond to different needs and that can complement each other perfectly in a professional kitchen. We will try to explain the main differences between the SmartVide and the oven, in order to understand the details that may lead us to select a SmartVide at a certain moment. Precision cooking. Less precise. +/-2-3ºC. Portability inside and out of the kitchen. Practically zero mobility. Changing the function requires waiting times. Large cooking capacity without quality loss. Piling up bags when cooking is not advisable. Limited consumption. High consumption in comparison with the SmartVide. It can fit into any small space in the kitchen. It occupies a significant amount of space in the kitchen. It does not require prior installation. It requires prior installation (outlet for fumes). Accurate and continuous regeneration. Rather impractical for regeneration. Immersion cooking is the most precise there is. In the oven, there may be temperature variations of between 2 and 3ºC between one area and another. SmartVide offers versatility of movement inside and out of the kitchen. The quick cooling of the appliance makes it possible to move it then moment the work is done. In ovens, the versatility of movement and function is quite limited. There is little mobility, if any at all, due to its volume. The possibility of changing the program from dry to steam (necessary for the cooking at low temperatures) requires a waiting time. SmartVide guarantees a high cooking capacity with no quality loss, as the bag is in direct contact with the water in circulation at all times. It is possible to stack bags without problems of uniform cooking. In ovens, piling up bags when cooking is not advisable. This is because the steam is not able to penetrate between the bags, and may leave those in the middle not fully cooked. SmartVide saves energy with long cooking times. Energy consumption is high in an oven in comparison with SmartVide. The compact size of SmartVide means it can fit into any small space in the kitchen. Installing an oven requires space, money and effort, and it must be placed in a specific predetermined location. It cannot be adapted to small spaces on workbenches. SmartVide does not require prior installation. An oven requires prior installation, as it needs an outlet for the fumes. The SmartVide enables regeneration at a controlled and homogenous temperature, which enables us to preserve the quality and properties throughout the service time. An oven is rather impractical for regenerating different components at different times due to the continuous need to open the door, with the consequent loss of temperature and accuracy.